Chemistry teacher Lisa Tozzi was on a mission to find precision balances for her chemistry classrooms. 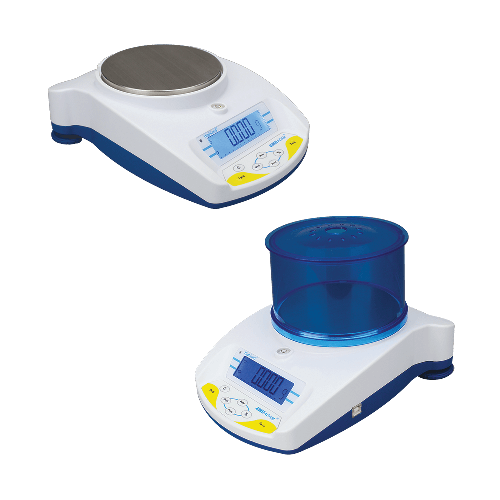 After careful research, she decided on Adam Equipment’s Highland portable precision balances. Experiment 3. This safe demonstration will surprise and engage students, leading to a solid understanding of the law of conservation of matter. This experiment is designed for ages 14-18. It can be adapted for ages 10-13. Experiment 4. Students apply the Ideal Gas Law to determine the molar mass of an unknown gas found in a common household product. This experiment is designed for ages 14-18. It can be adapted for ages 11-13. Experiment 6. This thermochemistry experiment tracks the movement of heat during an experiment incorporating measurement, data collection, data analysis, and drawing conclusions. This experiment is designed for ages 15-18. It can be adapted for physical science or introductory chemistry classes, but it is most appropriate for advanced classes. Experiment 7. Chemical reactions can be classified into major categories of reactions: synthesis, decomposition, single replacement, double replacement, and combustion. This lab illustrates different types of reactions. This experiment is designed for ages 13-18. It can be adapted for physical science or introductory chemistry classes. This lesson plan is designed to explain how to perform density determination and explain Archimedes' Principle. This lesson is appropriate for grades 7-12 (USA). Parts of the lesson may be appropriate for grades 5-6 (USA). Experiment 5. Earth Science is used in this experiment where students learn how to identify and measure different properties of sand.